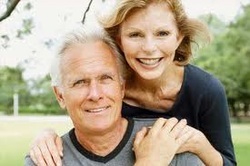 independently and comfortably, regardless of age, income and ability level. It means the pleasure of living in a familiar environment throughout one's maturing years and the ability to enjoy the familiar daily rituals and special events that enrich all our lives. It means the reassurance of being able to call a house a "home" for a lifetime. Aging in Place refers to a lifestyle choice that incorporates communication, transportation, health and wellness, socialization, safety and Universal Design. Universal Design is a broad-spectrum design principal that produces buildings, products and environments that are inherently accessible to both able-bodied and the physically disabled. The combination of Aging in Place and Universal Design equals a powerful new model for living. It has great value today and will endure well into the future. The lines that currently divide what is and what is not accessible will be blurred or even erased as Universal Design is embraced by developers and incorporated into ALL new construction. 1. 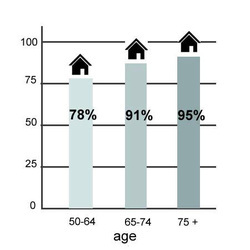 Americans prefer to remain in their homes as they mature rather than seek assisted living and other arrangements. 2. Older consumers want a reliable professional they can trust to remodel their homes. "Seventy-seven million baby boomers are reaching retirement age - the first wave sweeping this new American demographic tide - and nearly half of them do not feel that their home will fully meet their needs as they grow older."